When you decide to lose weight, you wish to try the A to Z of all the diets you know. The Indian low carb diet AKA the Indian high protein diet has gained a lot of special attention to the weight watchers. Before we move on to see what an Indian low carb diet comprises of, we must first clear our basics about what carbs actually are and how they affect our body. Carbs are one of the basic nutrients found in all plant foods. And based on its chemical structures, it’s classified as monosaccharide, disaccharides, and polysaccharides. In simple terms, carbs can be divided as simple carbs or complex carbs. 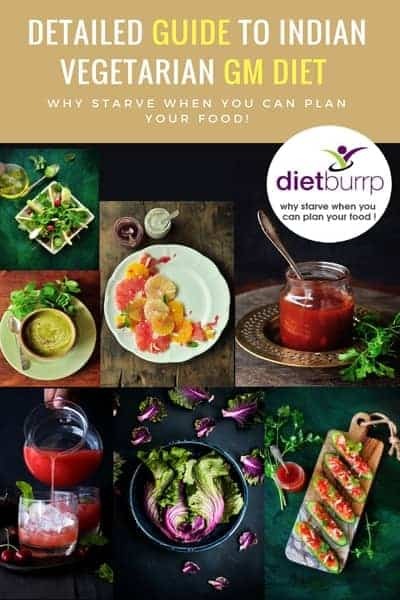 It is important to know that Indian low carb diet calls for minimum or no intake of simple carbs, like that coming from corn syrups, sugars, cane sugars, as well as honey. This distribution is changed depending on the individual requirement and medical conditions. As you can clearly see that the majority of calories come from carbs, to plan an Indian low carb diet is a little challenging. We need to provide calories through proteins as well as fats. We cannot overdo the fats, of course, Hence it leaves us with the only option of meeting the calorie requirements through proteins. Each of these nutrients provides a different amount of calories. As you can see, fats provide a lot of calories; the consumption should be kept to the minimum. While carbs and proteins provide similar calories, they both have different important functions in the human body. Here are some foods that you can include in your Indian low carb diet for weight loss. Roasted Almonds for mid time snacking. Roasted soybean, Roasted Bengal gram dal, roasted flax seeds as well as roasted sunflower seeds for mid time snacking. Baked kidney beans with little cheese. Boiled red channa salad with cucumber, tomatoes, as well as onion. Pressure cooked red channa with tomato gravy (cooked in little or no oil). Mix sprouts bhel with little puffer rice. Steamed, broiled, baked or grilled form. Either Steamed, broiled, baked or grilled. Now that you know what foods to eat in an Indian low carb diet, Here are some tips on how you can adopt an Indian low carb diet for weight loss. Indian low carb diet calls for giving up on the consumption of simple carbs and include more of complex carbs through whole grains like brown rice, oats, whole wheat, barley, whole wheat pasta, and whole wheat bread. These whole grains are complex carbs containing plenty of fiber. Intake of these foods will facilitate the weight loss process. 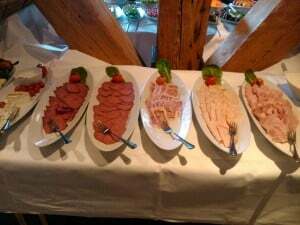 Proteins help to get the feeling of satiety. They stabilize the blood sugar level and control your cravings. You can include more of low-fat dairy products, lean meats, beans, legumes and a total of around 50-gram protein per day. Having raw salads with your meals and with a good amount of fruits will ensure an increased fiber intake in the diet. Green leafy vegetables are rich in minerals and they help in certain health conditions like blood pressure and diabetes. Being high in fiber, they also aid in weight loss. Besides fruits and veggies, you can add flax seeds, fenugreek (methi) seeds, sprouts and whole grains to your meals. You need to avoid all Trans fats. This means that you have to stay away from fast foods and deep-fried foods like fries, cutlets, cheese sticks and pakodas. Try to consume the monounsaturated fats (present in olive oil, peanut oil, and mustard seed oil) as they help in limiting your carb intake and in bringing the feeling of satiety. Avoid saturated fats (present in butter, ghee, and margarine). Low carbs and desserts is a rare combination. Most people have a misconception that excluding desserts completely from the diet will allow them to lead a healthy life. In actuality, it’s not about the omission, but about choosing your food correctly without depriving yourself! All you need to do is to eat in limitation. Every food, when eaten in limitation, can only benefit your health while undesirable consequences begin to appear once you stop watching your portion intakes. Staying within the limits helps in controlling and maintaining weight apart from helping in avoiding sugar hikes and in maintaining stabilized blood sugar levels. So eat wisely and be healthy. After years and years of researches, experts have claimed that any person who is regular in his exercise has overall better health in comparison to a person who doesn’t exercise. Exercise helps in maintaining good body weight, it keeps blood sugar levels under control and aids in the better functioning of the heart and other organs. You can increase your carb allowance window by exercising. * Note – In my experience of 10 years now I have noticed that an Indian low carb diet works to give good weight loss results only if the person includes exercises in his schedule while following the diet. Most of the snacks that we binge on are carbs, whether it is a chocolate, a candy, pastries, chips or fries! If we learn to avoid binging, we will be successful in cutting down on a lot of unwanted carbs. Try to eat your meals on time and most importantly, eat at regular intervals. A gap of more than 4 hours between your meals will make your hunger take a hike and you will jump to take all the unhealthy foods! If you happen to go heavy on your meal either due to a social gathering or a festival or any such occasion where you don’t have much control over your food, then you must balance it out well to avoid sugar splurges in blood. There is nothing wrong in going light once in a while! A complete fruit diet for a meal or just milk and cereals are not bad options! Now that you have read the tips on adopting an Indian low carb diet, you must understand that cutting on the simple carbs is a good idea. But cutting down carbs completely from your meal plan is not really advisable. Here are 2 reasons why you should never completely omit carbs from your meal while following an Indian low carb diet. Here is an Indian Low Carb Diet Plan for Weight loss. This diet plan will help you in losing 10 to 15 kgs of weight. Why you should not completely omit carbs from your diet? 1] Carbs (glucose) is the only source of energy that your brain and the central nervous system can utilize. So Absence of glucose can turn out to have serious ill effects on health. Fats cannot be completely broken down in the absence of carbs. Hence if you are looking for losing fat weight, it is important to have the minimum amount required of carbs to facilitate the complete breakdown of fat or the process of lipolysis. In the absence of carbs, the number of ketone bodies in the bloodstream will accumulate and lead to metabolic disorders like ketosis or acidosis. The above-mentioned reasons will justify the presence of carbs day in strict diets like the General Motor’s diet (GM diet). Read – an Indian version of the GM diet. Do you know that without proper carbohydrate intake, you cannot do exercises? Carbohydrates are the best fuels for your muscles since they become accessible easily in comparison to proteins and fats. The process – At the time of digestion, carbs are broken down into glucose, which then enters the bloodstream. The glucose is then picked up by the other cells of the body to produce energy. Glucose, that remains unutilized, is converted and stored as muscle glycogen in the short run and finally gets converted into body fat in the long run. So carbs are needed to supply energy to you while doing physical activities. Carbohydrates are not bad provided you select the right ones. For example, having mango is better than munching potato chips. The nutritional value of carbohydrates depends on the presence of nutrients and on the degree of processing that the food has gone through. What are the Healthy Carbs that you should Love? If you have made up your mind to follow an Indian low carb diet, you must also know about the healthy carbs that you should include in your regime. while following an Indian low-carb diet, people generally ignore fruits and vegetables! But these are the healthiest foods of all. According to a study report published by the American Institute for Cancer Research and the World Cancer Research Fund, you can prevent at least 20 percent of all cancers by including 5 to 10 servings of fruits and vegetables in your daily diet. Another study has proved that the risk of coronary heart disease falls by four percent for everyone serving the increase of fruits and vegetables each day. Adequate consumption of fruits and vegetables also yields positive effects on bone density. The bread is back – think of the fiber-packed brown ones and forget about the ones made with refined flour. Whole grains are packed with nutrients and fiber. They contain all the three parts of the kernel. The bran or the outer shell contains B vitamins, fiber and at least 50 percent of the minerals contained in the entire grain. The germ part contains B Vitamins, Vitamin E, minerals, healthy fats, and phytochemicals. The endosperm part contains protein, carbs and smaller amounts of B Vitamins. Refined grains only contain the endosperm part and hence the vital nutrients present in the germ and bran are left out. Research suggests that three servings of whole grains per day can cut down your risk of diabetes and coronary heart disease by almost 30 percent. Other health benefits include lowering of serum triglyceride levels and blood pressure and a fall in the risk of gum diseases. Some popular whole grain choices include brown rice, oatmeal, corn and popcorns, wild rice, buckwheat, barley, Bulgar wheat, and quinoa. These carbs add health to your bones and cause a lowering of your blood pressure. These dairy products are good sources of Vitamin D, protein, Riboflavin and Calcium. Yogurt lacks Vitamin D. So get your Vitamin D from milk and vitamin D-fortified cereals. You should check the fat content of the dairy products. High amounts of saturated fat are not heart-healthy. Beans are healthy carbohydrates which can prevent cancer. It is known for preventing the reappearance of colon cancer. Research suggests that beans can prevent constipation, lower cholesterol and brings down the risks of coronary heart disease. The nutrients present in beans include protein, folate, potassium, magnesium, fiber and other minerals. Taking into mind all the tips mentioned above, we have planned an Indian version of the Atkins diet plan (low carb and high protein diet ), This will really help you in losing a tremendous amount of weight in a healthy manner. Read – Indian version of Atkin’s Diet plan. Thus, you see all carbohydrates are not bad! You can find many healthy exceptions like the ones mentioned above. The decision rests with you – either you spread hummus on wholegrain crackers and relish the taste or you go for a huge cheeseburger made with refined flour along with French Fries! The lean, thin look of Angelina Jolie may fascinate you. But you will be surprised to note that her diet consisted of all low carbs food! But experts have opined that a diet without carbs is unhealthy. Eating a lot of carbs may load you with calories, but eating healthy carbs while on an Indian low carb diet will allow you to meet your weight loss goals. My age is 32..I have insulin resistance..could you Please suggest diet plan. Hi Payal. My name is isha. I have a 8 months old daughter.. I have started doing little exercise and I’m also trying to have low carb diet.. have to lose 20 kgs.. please suggest some diet plan..
can u plz show me postpartum diet also I m hvng anemia. I m 23 years old height 5’3 and weigh 75 kgs. what shld be my ideal weight ?and don’t get time for exercise due to my 3 month baby. Hi, Moses here. I am 29. My height is 5.11″ and I weigh 85kgs. Mostly my stomach is where all the fat is I guess. Anyways I don’t follow a diet n I consume alcohol almost 4 days a week. Whiskey to be more precise wid water. 180ml. Now I just got my self enrolled in a gym n I want to loose fat n weight. Can u pls give me a diet plan for atleast a week. I am a catholic so what to eat is not an issue. Really want to be fit n ripped. Hope to hear from you soon. Thank you in advance. U can mail it on rolandmoses86@gmail.com if possible. Are you sure that 1 gm carb has 4 k cal? 4000 cal ?? yes 100 % . Now a days no one uses terms kcal . its Cal . hence 1 gm carb has 4 cal . I am 37 years old vegetarian male. My height is 5’8″ and weight is 205 lbs. Please suggest me few diets. Hi. I’m 20. Gymrat . I need a low carb and high protein diet . Help out please. Thanks. I am 21 years old and my body type is endomorph plz suggest me veg and non veg diet for weight loss.. which does have high protein and low carb in it. Hi Swati , i am afraid im not the right person to advice you on this . kindly consult an orthopedic doctor. Can u please suggest indian version of 1200kcal hcg diet? Hallo mam i a 48 yrs 5 feet 7 inch height with 80 kg weight man i live in bundi rajasthan iam veg. My weight is 78kgs. My cholesterol is very high. Plz suggest a diet getting my cholesterol down. I have PCOD. My weight increased withing 2 years (10kgs) and now I am 63Kgs. My doctor advised me to loose 8kgs. I go for walking 45 minutes and now i will start following what you have suggested. Is it going to help? I have hamstring injury and cannot to much heavy exercise. I am approaching 60years, But look much younger. I am overweight by about 10kg’s, at 72 kgs. Besides fat around waist, makes me feel bad. As you cross 50 years, even if your health is good, the excess body weight can damage leg joints and soon after retirement mobility can get reduced. reduced mobility at old age can be very damning. So i thought of bringing in fitness. I simply did not know, how to go about. My Son recently visited be from US. He really helped me. That changed my approach. Then next step was to monitor food in take. How to pick and choose food items and qty. How to choose a balance of Carbs, Protein, fat and minerals and vitamins? Right selection is imp. Then take up a calorie burning program using weights and long brisk walks. Finally when Calorie burnt is more than taken in- the weight reduction sets in. Keeping a dose of Protein and vitamin suppliment handy is very imp. This intake of suppliments once or twice a week ensures body will not become pale or go into imbalanced nutrition. Another Very imp step was not to go for drastic reduction in food intake or not even confusing body with daily fluctuations of food intake. That can really damage. SO gradual reduction and making down ward changes once a week and being steady will help body to adopt. Keeping committed to a given number of Carbs, Protein, Fats and others during the week and seeing the day;s score is very imp. SO finally at end of two and half months i have lost 6 kgs of weight and able to get back in shape to an extent. I am 5,3 inches and weight 53. I am fine with my weight bt my belly is heavy I am apple shaped . Can you help me to get rid of belly fat. I eat balanced diet,more fibre than fat. Please help me with diet plan and weight loss, My age is 26/M, weight is 93 Kgs, and mu job is mostly sitting like for 8 to 9 hours so i hardly get more time for workout, I mainly want to reduce my Lower back fat, Tummy Fat and Chest fat (it is more Embarrassing). Please help me to make my diet plan so that i can follow it. Im 45 yrs old.my hieght is 5’4″ and 70 kgs weight.I want to start low carb veg diet.can i use millets kichdi ,drink,dosa as main cource in lunch or dinner. There are very less fruit part in this diet plan.will that be sufficient for pure veggies.what if we take more . fruits are less because it is a low carb diet . you can take more amount of veggies to maintain the vitamin content of diet . Thank you for all the information on Keto. Please also can I ask for Keto recipes in Asian flavors it will help beginners like me. Sometimes its really difficult to analyze what is consumable in low carb and high fats. Also some dessert recipe to kill the sweet cravings. sure . i ll write a blog on it soon . keeo reading at dietburrp . if this is the first time you are going to try to lose weight then keto is not for you . you should always give first preference to following a healthy , balanced , low calorie diet along with workout for weight loss. if you have tried all this, and now the weight has come to standstill then you can follow the set patterns like keto and GM diets . My husband and I have been following the Indian version of Keto (https://www.dietburrp.com/indian-version-of-ketogenic-diet/) for the last 3 months and we’ve lost 7 and 8 kgs respectively. How do we slowly move towards a low-carb diet from keto and when is the right time to make the shift? Will this shift make us gain all the lost weight? wow .. i am glad my diet plan could help you lose 8 kgs of weight . well to proceed with your reply , can you please tell me your age , current weight and your height? which phase of keto are you following currently ? please provide the details and i shall get back to you with a solution to your query . I’m unable to reply in the same thread, hence a new comment. I am 30 years, 153 cm, 60 kg. 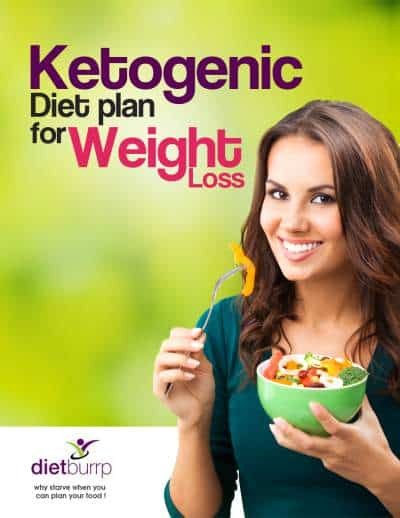 For the first month, we followed the exact menu from Indiet Keto diet that you had posted, after which we are sticking to the menu of the first week since 2 months. We also start our day with the bullet tea. ok .. thats good . now to make the shift , you can start eating 1 regular meal … whichever you want … and after 1 week of doing so , you can then introduce the second meal . continue to have bullet coffee. the meal that you include should be light . we will not immediately start with carbs , so what you can have is grilled chicken and fish , mung dal dosa , start drinking dal , soups , start including fruits in your meals . Thank you for your wonderful ideas and suggestions. Your inputs are very easy to follow and very healthy and nutritious too. I am a dietician and I truly appreciate the style and content of your articles. Thank you so much. I have PCOD. My height is 5″8″.My weight increased with in 2 years 10kgs and now I am 80Kgs. My doctor advised me to loose 10kgs. I go for walking around 1 hr since 3-4 months. But its not working out. Please help me. you need to follow a suitable low calorie diet as well . you can check the various diet charts under our weight loss diet label . Do you really think ketosis is a metabolic disorder? well , Interesting Question .. you know as a student , we always studied that diabetic ketoacidosis is a threatening health condition in diabetes . .. this was only recently when the therapuetic effect of ketone bodies in lipolysis (chemical cycle of fat burning) was used in the other way to lose fat mass in individuals . So basically anything that is diverting your usual metabolism and chemical cycles of assimilation and utilization of nutrients is basically a disorder. 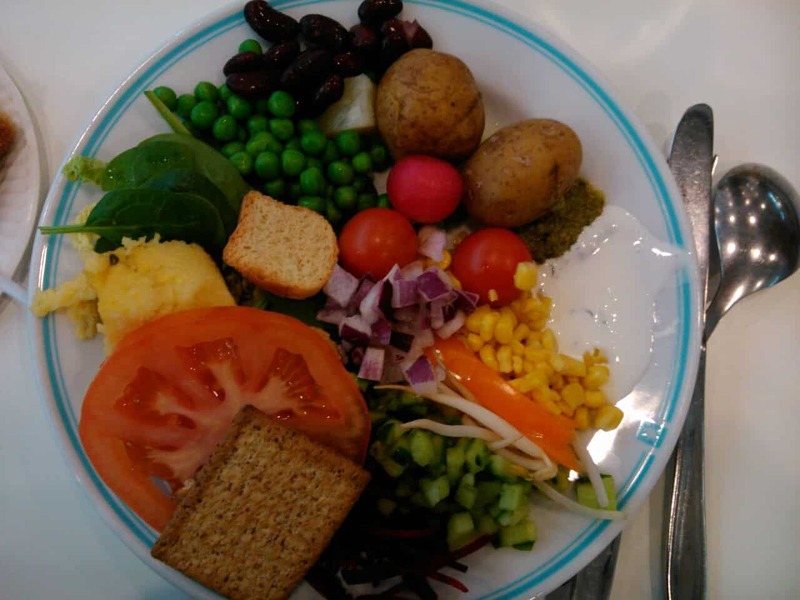 Can you suggest any diet plan for primary stage cancer patient? We are trying to not take carbs and sugars. But this is the toughest part as without carbs means you just have few option like oats. We are trying to include fruits and veggies in patient’s diet. If you can give a diet plan that will be really helpful. diet for cancers vary based on which part of the body is affected and most importantly a patients symptoms . it is difficult to formulate a general diet plan for cancer . and hence i will advice ypu to meet a dietician in person in your city and explain the case and patients symptoms and get a personalized diet plan formulated . this will be more effective rather than jst restricting a group of nutrients. i just want to loose 3 kg ,i have a belly fat. i am a vegetarian but i can eat eggs,kindly suggest suitable diet for me. Are you working out ? if yes , try our Atkins diet plan … if not , try any of our 1200 calories diet plan . very much impressed with the advise you give which is simple and easy to follow. this is for my husband 49 yrs old, who is having type II diabetes, almost under control Hb A1 C is 7.2.he is also having hyperlipedemia and is on rosuvastatin and presently the lipids level is ok. no other complications at present. his height is 183 cm and weight 83 kgs. he wants to reduce weight further, has some fat around belly. this plan will not only help him in losing weight and controlling diabetes but also in controlling his lipid . Hi Payal, I have thyroid , can i include millets like fox tail millet, little millet, barnyard millet, kodo millet in my diet? check this – https://www.dietburrp.com/types-of-millets-benefits-weight-loss/ some facts about millets and thyroids are mentioned here. Its best to avoid millet . if you like t hem , use onl in moderation . like 1-2 times and in less quantity.